PACIFIC OCEAN – A live-fire exercise, part of Valiant Shield 2012, sank the ex-USS Coronado (AGF-11) in waters 3,045 fathoms (18,270 feet) deep, 102 nautical miles South of Guam at about 3:20 pm local time on Sept. 12, 2012. Sinking exercises benefit the Navy by providing crews the opportunity to gain proficiency in tactics, targeting and live firing against surface targets, which enhances combat readiness of deploy units. 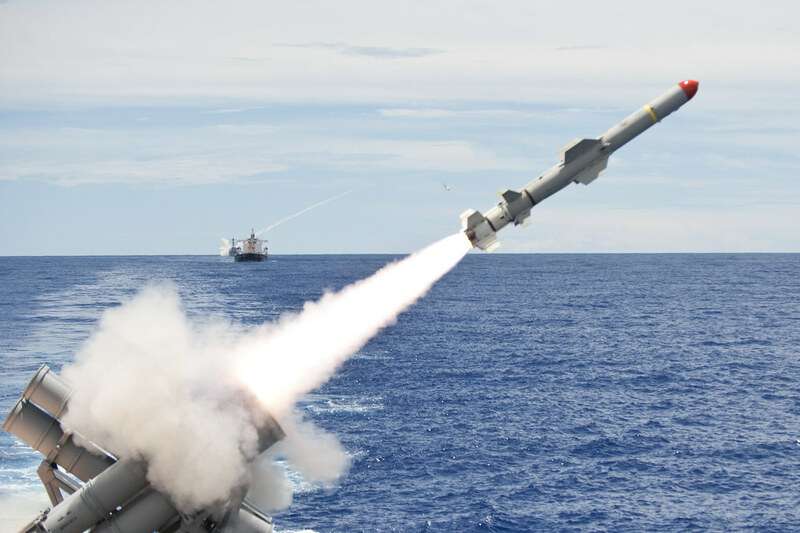 "These exercises provide important opportunities for realist at-sea training with live ordnance, condition that cannot be duplicated otherwise," said U.S. Navy Capt. Paul Krug, the U.S. Pacific Fleet Valiant Shield exercise lead. Former Navy vessels used in SINKEXs are prepared in strict compliance with regulations prescribed and enforced by the Environmental Protection Agency. Strict environmental compliance is observed during all SINKEXs. Each SINKEX is required to sink the hull in at least 1,000 fathoms (6,000 feet) and at least 50 nautical miles from land. Surveys are conducted to ensure that humans and marine mammals are not in the an area where they could be harmed during the event. USS Coronado was commissioned on May 23, 1970. The former Austin-class Amphibious Transport Dock (LPD) initially served the Atlantic Fleet, in the Caribbean, Northern Europe and the Mediterranean Sea. USS Coronado was re-designated an auxiliary command ship in 1980 and served as the command ship for the U.S. Middle East Force and Sixth Fleet. USS Coronado subsequently served as the command ship for U.S. Third Fleet, homeported at Pearl Harbor and later San Diego. At one time, the ship was said to be the most advanced command ship in the world. USS Coronado was also the first U.S. Navy combatant ship to have female crew members. USS Coronado was decommissioned on Sept. 30, 2006. Correction: A previous version of this story gave an incorrect date for the decommissioning of USS Coronado.